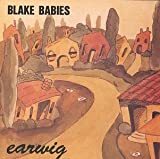 BLAKE BABIES GIRL IN A BOX LYRICS"
Keep her under my bed, it sure must get hot in the summertime. I get her out when there's nothing else to do. When there's nothing on TV, when I can't see you. Wife don't mind if I give her a child. My wife don't mind, she thinks it's pretty wild. I've got this girl in a box, I got a girl in a box. With my TV on and a beer in my hand and you by my side. But I wanna' be, yeah, I wanna be. If I want to, yeah, I want to. I'll keep her 'till the day that I die. I've got a girl in a box. All Blake Babies - Girl in a box lyrics are property and © copyright of their respective owners. All Girl in a box lyrics provided for educational purposes only.